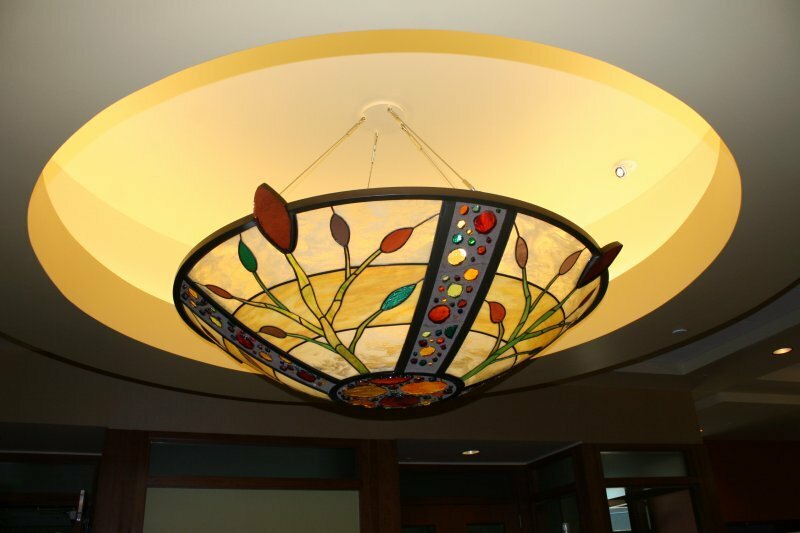 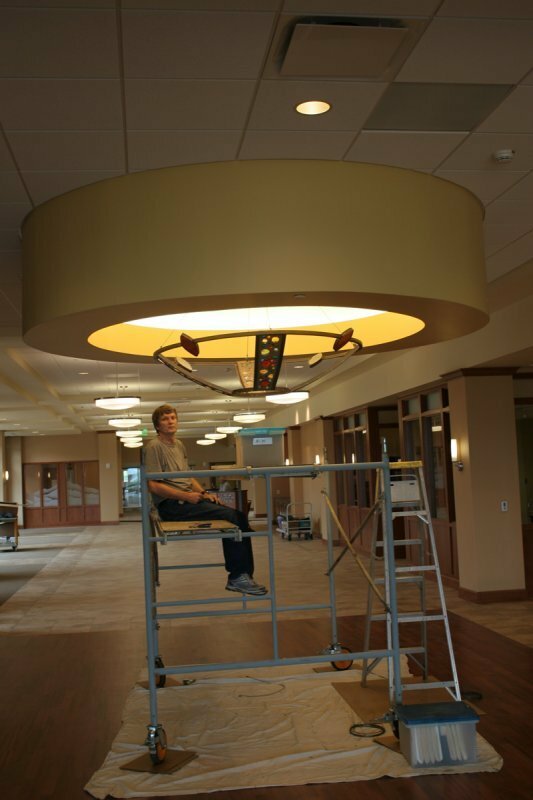 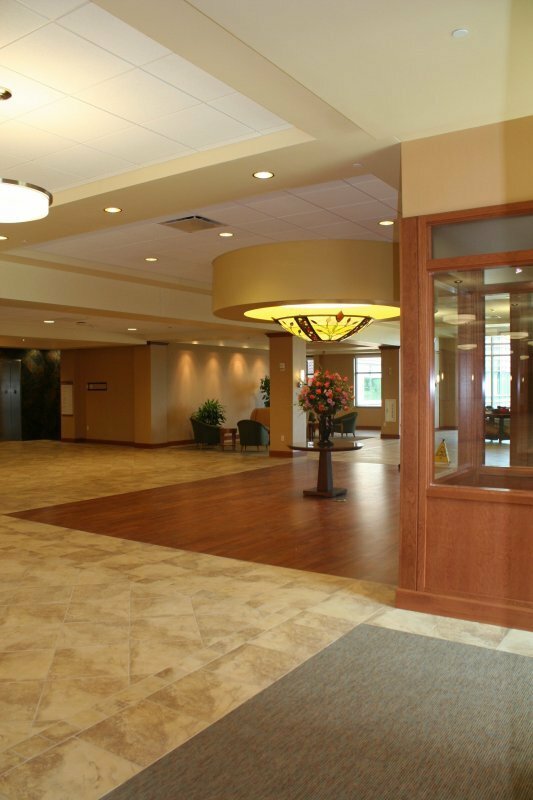 The pendant light I have created for the new Martha Jefferson Hospital in Charlottesville, Virginia is a five foot in diameter, fourteen inches deep, three dimensional stained glass hanging fixture. 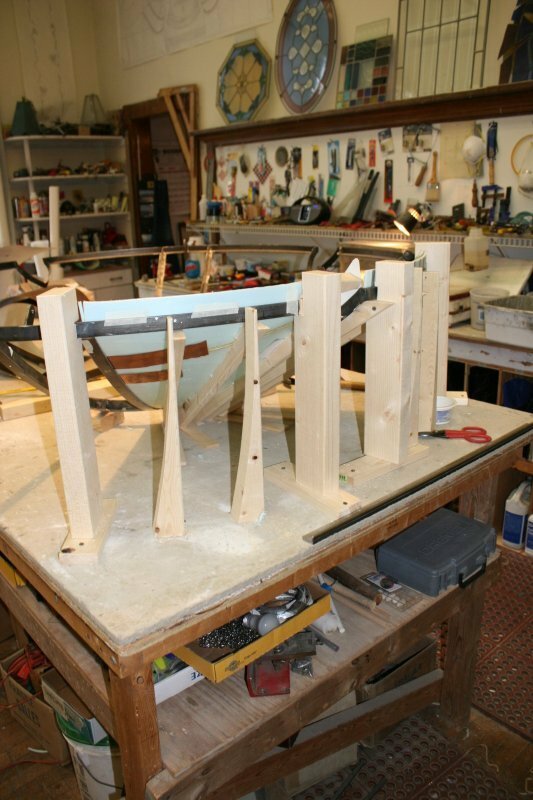 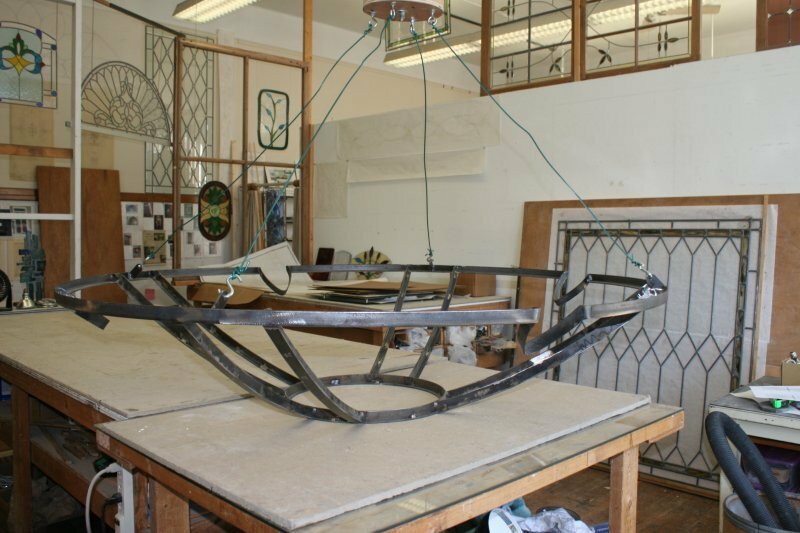 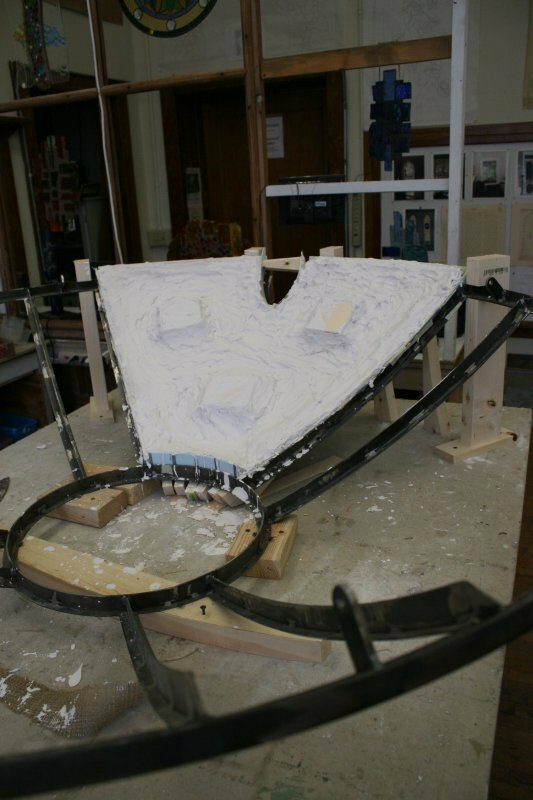 One eighth inch steel was bent into shape and welded together to form a frame that supports the nine glass panels. 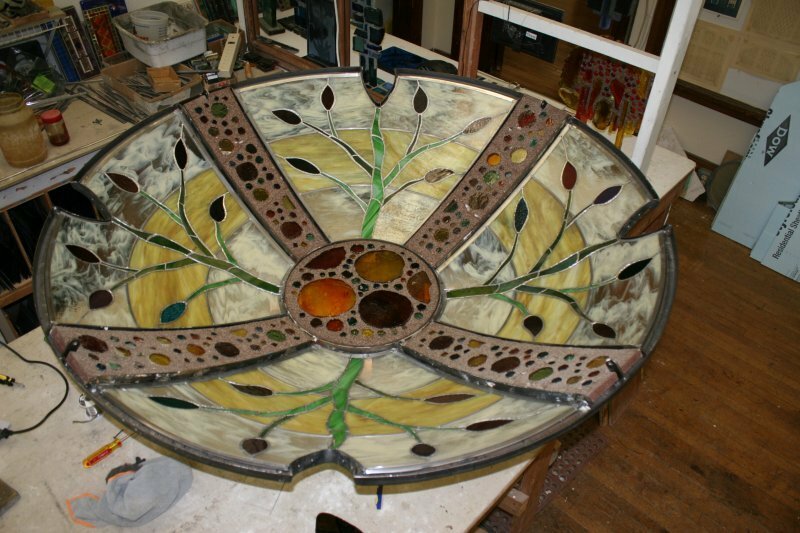 The design is organic in nature and suggestive of a tree or stylized flower with multi color petals. 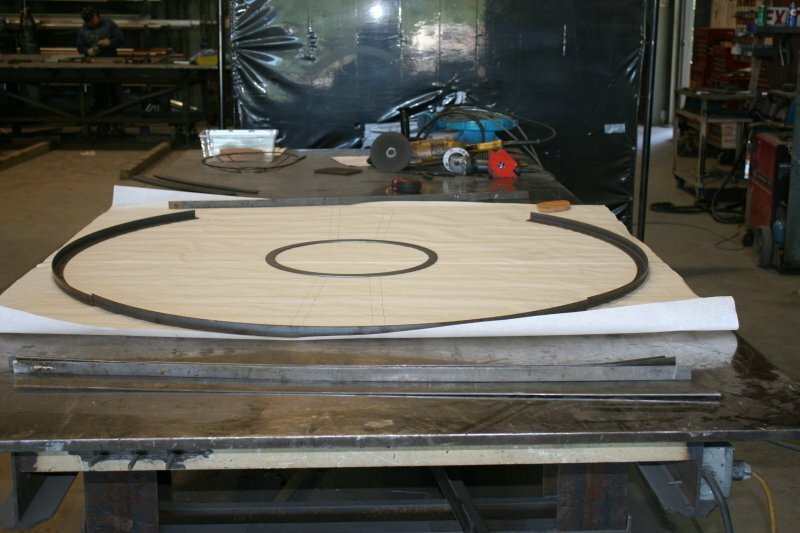 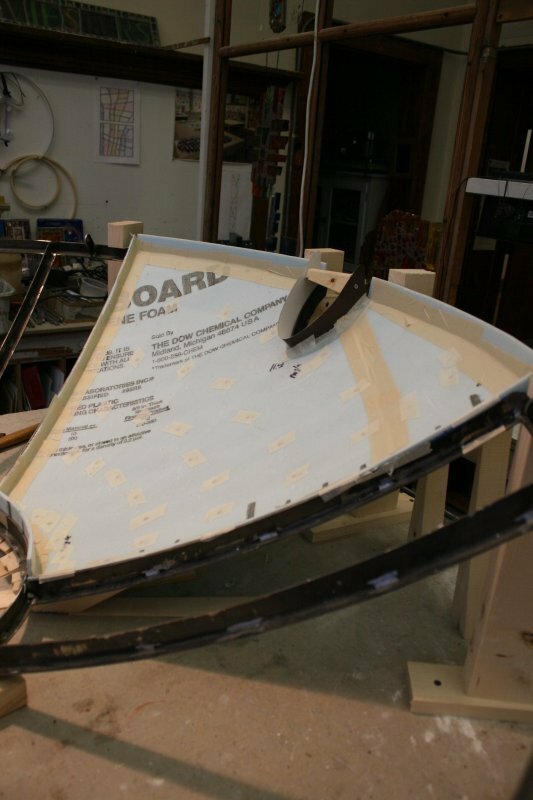 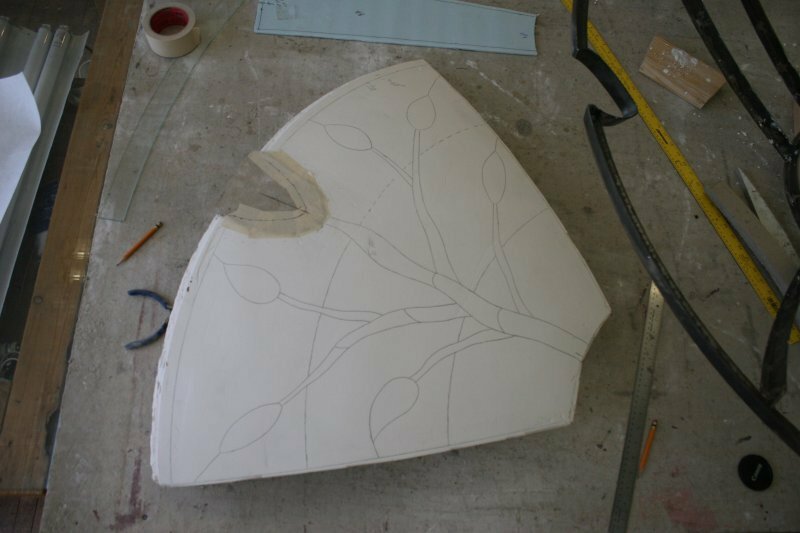 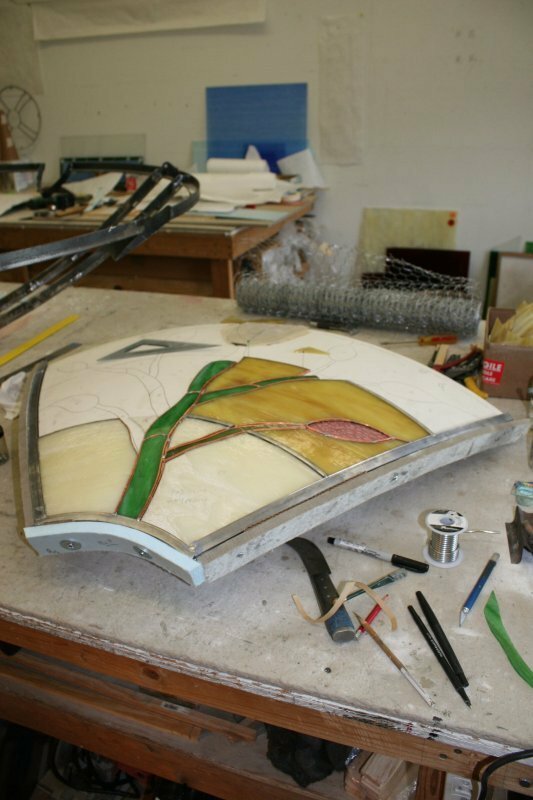 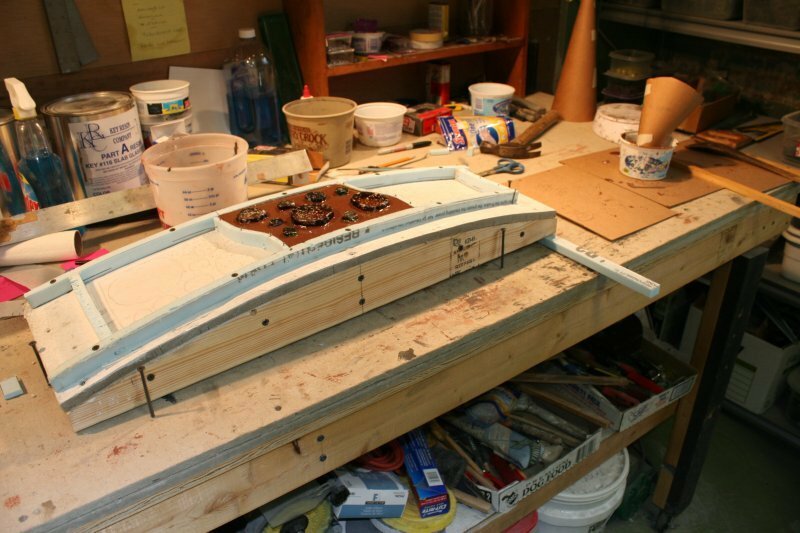 Four of the panels contain the organic design and are made using traditional colored sheet glass which is bent in a kiln to a double curve before assembly. 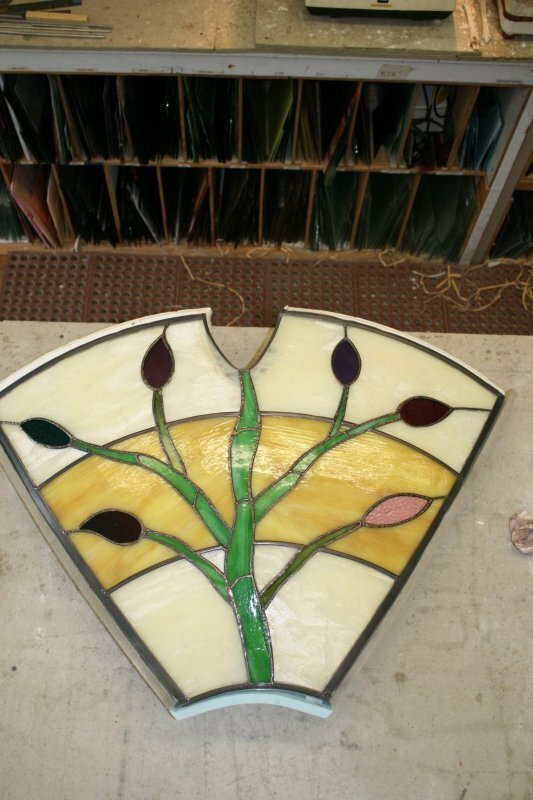 The remaining five panels are made using one inch thick Dalle glass from Blenko Glass company, set in epoxy resin.